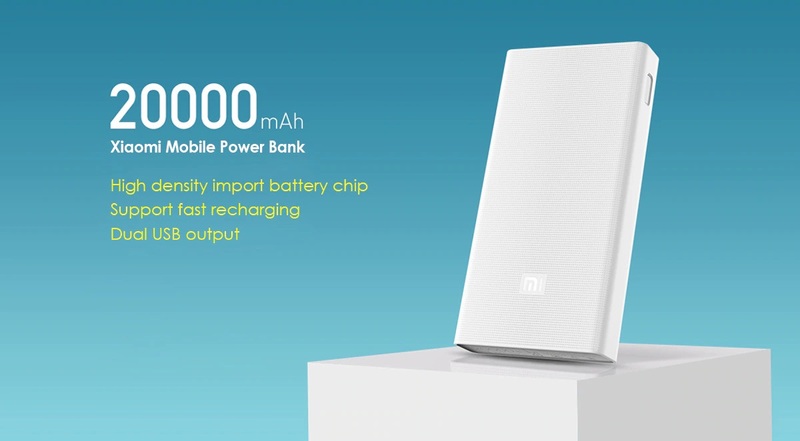 Mi Power bank 20000mAh, a High-capacity, Dual USB output, with Two-way quick charging and High-density lithium polymer batteries to give the nonstop power supply to smartphones. The new Texas Instruments control chip in each 20000mAh Mi Power Bank supports rapid charging. Compatible with 5V/2A, 9V/2A and 12V/1.5A charging, the power bank takes just 3 hours to charge 11000mAh and 7 hours to charge fully 3-that's 44% faster than two 10000mAh Mi Power Banks combined. It has two USB port with intelligently adjusts power output features compatible with a wide range of devices well-protected with high-quality circuit boards to improve safety while charging. Your power bank is 20000mAh or in simple terms 20Ah. That means your poer bank can give 2Amp for 10 hours (2*10 = 20) or 1Amps for 20 hours (1*20 = 20). The hour value might change based on the C rating of the battery. No how much time will you need to charge it depends on the charging current.